Pipeline opponents are gearing up for a nine-hour workshop in Nelson County on April 13 to discuss the Atlantic Coast Pipeline, LLC, and where they are in the fight to stop it. The Atlantic Coast Pipeline, LLC is a 600-mile-long natural-gas pipeline proposed to be built through parts of Nelson County. Different groups in Virginia and other states like West Virginia and North Carolina have been protesting the ACP since it was proposed four years ago. 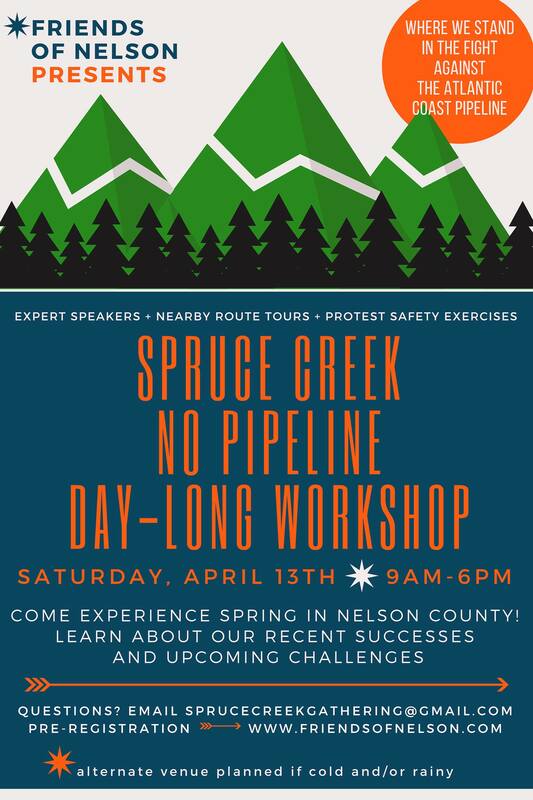 To continue the fight, Friends of Nelson, an anti-pipeline organization, is holding its third all day workshop on April 13 from 9 a.m. to 6 p.m. 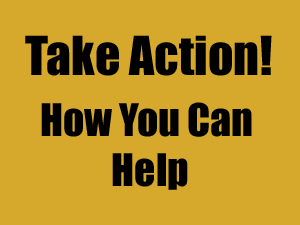 The purpose of the event is “to update interested citizens on the current status of the fight against the Atlantic Coast Pipeline,” according to a news release. The event is free to the public, but registration is required. Still, pipeline opponents aren’t letting up the fight. The all-day workshop will consist of discussions on specific legal and environmental issues, tours of the proposed path of the ACP, exercises on how to protest safely, and what happens next in the fight to stop the ACP. “The goal is to get as many people as possible. Really, we love to get people involved who don’t know much about this pipeline, but have been hearing about it,” Jill Averitt said. The day will also consist of guest speakers covering an array of topics on the pipeline and issues it brings to light. William Limpert, an affected landowner from Bath County, will be discussing how outside, long term storage of gas pipes deteriorates the coatings and increases the risk of failure. Limpert said the safety and public health issues with the coating of the pipeline are both important and he feels the topics haven’t been fully investigated. Overall, Limpert said the workshop on April 13 is about learning about the industry and the government agencies involved as well as energizing the attendees. “Besides the learning experience, it’s really an energizing experience too. If you are working for good minded folks and working together it’s an incentive to keep on going,” Limpert said. Jennifer Lewis, 20th district delegate candidate, will be discussing why Augusta County’s water supply is at risk due to its Karst topography and the pipeline route’s proximity to the Staunton Reservoir. Lewis said although stopping the ACP is the number one priority for her race, she has been fighting the pipeline as a citizen for the past five years. “It’s natural for me to be involved in these anti-pipeline events because I have been such a loud voice in Augusta for the last five years,” Lewis said. The topic she will be discussing is important for everyone in the state because the water from Augusta serves millions in Virginia. “We are called the head waters because our water goes all over the state. Everyone should be protecting their water, but we have unique responsibility,” Lewis said. She hopes people realize the fight isn’t over and the reason the ACP project is behind schedule is because of neighbors uniting together to keep it from happening. “People from all different backgrounds are coming together to fight this and it’s been the silver lining of this horrible proposed project,” Lewis said. Other speakers include Richard Averitt, discussing eminent domain and how ‘Quick Take’ violates due process and should be ruled unconstitutional; Lakshmi Fjord discussing the proposed Compressor Station in Buckingham County and the plight of the Union Hill Community; Attorney Rick Cornelius discussing the legal case against the pipeline and where it stands today; and Tom Hadwin discussing why there is no public necessity for the ACP, particularly in the Hampton Roads area. For Richard Averitt, speaking at the workshop is important to him because he understands how confusing some of the legal terms can be and he believes educating affected landowners and non-affected landowners alike is important. “I am personally upset I didn’t know more sooner. Once you know it you can’t un-know it,” Richard Averitt said. Over all, Richard Averitt said this workshop and fighting the ACP is a “David and Goliath fight,” but important because it’s about addressing the laws and ordinances that make things like “eminent domain” and “quick take” possible. Quick take in this case is when Dominion Energy takes possession of land for the purpose of building the ACP before compensation is given to the landowner. Eminent domain, on the other hand, is when Dominion Energy takes the land, but an agreed upon compensation is given beforehand. “It’s not just about beating Atlantic Coast Pipeline, but changing the system that allows this. We need to create allies to change the system that makes this possible,” Richard Averitt said. Attendees are encouraged to bring something to sit on throughout the day and lunch, although a lunch can be provided with a fee upon registration according to the news release. “We are just super pleased we are able to partner with Friends of Nelson and grateful for anyone who comes out to listen,” Jill Averitt said.